Working with international fashion trendsetter and lifestyle brand, Yves Saint Laurent, has sent us around the globe and back encompassed in the world of high fashion. Once again we were asked to produce boutique and window displays, this time showcasing Yves Saint Laurent’s “Psych Rock” line inspired by the music and fashion of the 60’s. These art pieces were impressive, metal-constructed, multi-point stars rotating atop wooden bases coated in black, liquid-like material that appeared to be oozing off the surface of the bases like warm chocolate syrup upon an ice cream sundae. The artistry behind YSL’s design incorporated a contrast between appearance and methodology. These art pieces simulated a low-tech sculpture by an artisan with limited materials and tools, yet the actual design and execution of the pieces involved high tech engineering from creation, all the way to shipping and installation of each piece into sometimes challenging environments. Working with a world-class client demands attention to detail and perfection. Each piece of material from the reclaimed wood to the finished metal was carefully hand selected to have a certain look and feel. 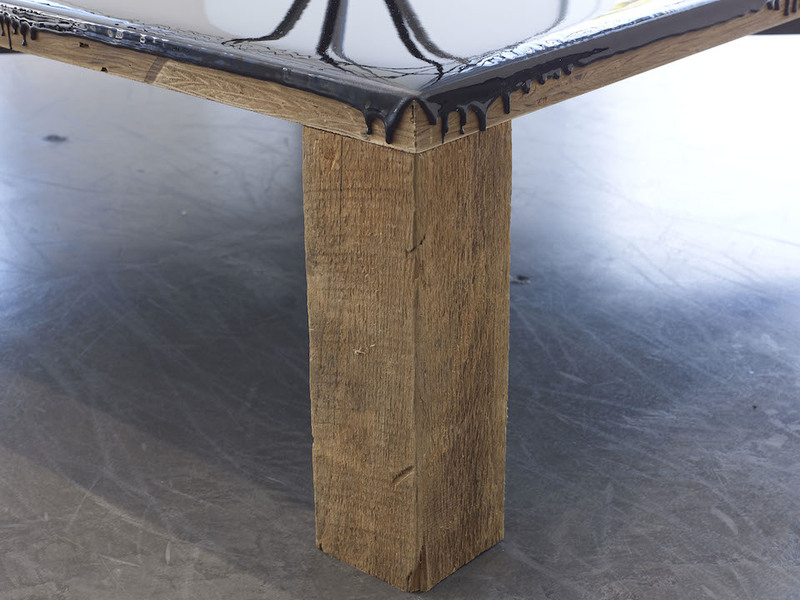 Every sleek black drip cascading down the sides of the tabletop bases was purposely designed and executed. Every weld point was engineered and finished with impeccable precision. The finished results were visually striking and impressive.